U.S. 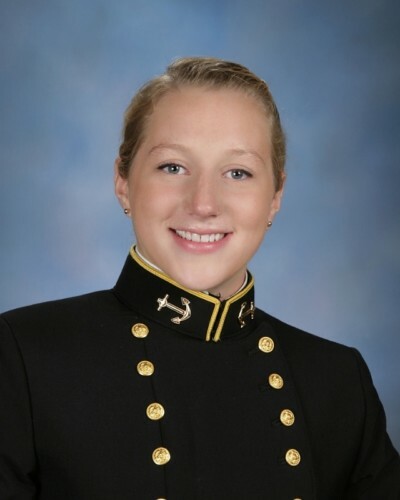 Naval Academy Class of 2013 Midshipman 2ndClass (junior) Phoebe Kotlikoff has been selected as a 2012 Truman Scholar. The Truman Foundation announced today that 54 students from 48 U.S. colleges and universities have been selected. Midshipman Kotlikoff, of Ithaca, N.Y., is a quantitative economics major pursuing a minor in Spanish and will train as a submariner after graduation. Kotlikoff stands in the top one percent of her class, is a member of Omicron Delta Epsilon International Economics Honors Society, plays lock on the academy’s nationally ranked Woman’s Rugby Team and volunteers with Sister to Sister, a program she founded which brings together young women from public schools in the Annapolis area with female Midshipmen role models. Kotlikoff has held a variety of midshipman leadership posts, including company training corporal, company academic sergeant, company platoon sergeant, and regimental sports boss. She plans to pursue a master’s degree in public policy. Kotlikoff is the academy’s 20th Truman Scholar. The Truman Foundation, dedicated to former President Harry S. Truman, finds and recognizes college juniors with exceptional leadership potential and intellectual ability who are committed to careers in public service. Scholars are required to work in public service for three of the seven years following completion of a Foundation-funded graduate degree program. Scholarships provide support up to $30,000 for graduate school. For more information about Truman Scholarships, visit the Truman Scholarship website: www.truman.gov. For more information about the Naval Academy, visit www.usna.edu or our Facebook page at www.facebook.com/USNavalAcademy.